So far, a total of 149 cases caused by a particularly virulent strain of E. coli O157:H7 have been reported. There has also been one death recorded, in California, according to the U.S. Centers for Disease Control and Prevention. 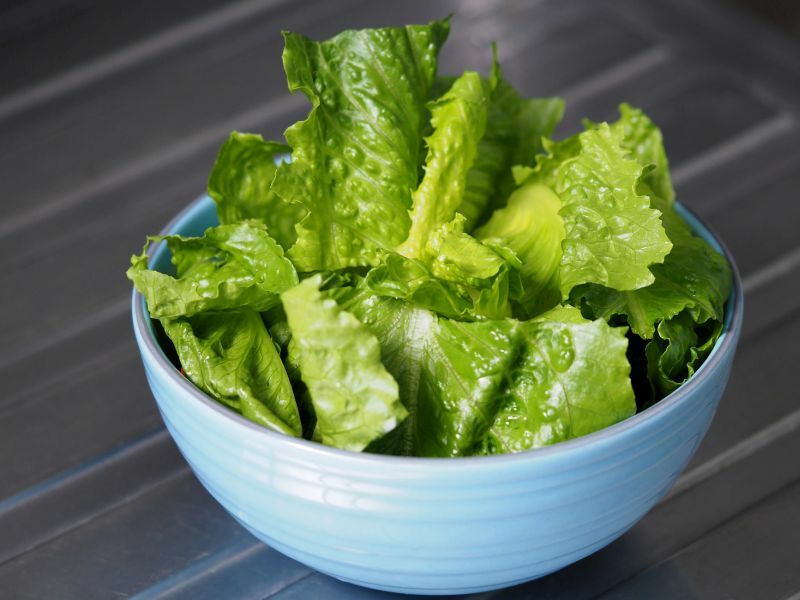 "We have many lines of evidence suggesting to us right now that all of these illnesses are connected in some way through romaine grown in the Yuma region [of Arizona]," Matthew Wise, the CDC deputy branch chief for outbreak response, said recently. The CDC said four more states -- Florida, Minnesota, North Dakota and Texas -- have been hit by the outbreak, bringing the total number of affected states to 29. Illnesses have often been severe. Of the 129 patients the CDC has good information on, 64 (50 percent) have required hospitalization, the agency noted. Besides the death recorded in California, 17 patients have developed a dangerous form of kidney failure, the agency said. The total number of cases by state are: Alaska, 8; Arizona, 8; California, 30; Colorado, 2; Connecticut, 2; Florida, 1; Georgia, 5; Idaho, 11; Illinois, 2; Kentucky, 1; Louisiana, 1; Massachusetts, 3; Michigan, 4; Minnesota, 10; Mississippi, 1; Missouri, 1; Montana, 8; New Jersey, 8; New York, 4; North Dakota, 2; Ohio, 3; Pennsylvania, 20; South Dakota, 1; Tennessee, 1; Texas, 1; Utah, 1; Virginia, 1; Washington, 7; Wisconsin, 2. Harris stressed that other area farms could also be affected. Genetic testing shows that the E. coli strain involved in the outbreak produces a specific type of "Shiga toxin" that causes more severe illness, Wise explained. This is the biggest Shiga-toxin producing E. coli outbreak since a 2006 outbreak linked to spinach grown in the Salinas Valley in California, Wise said.